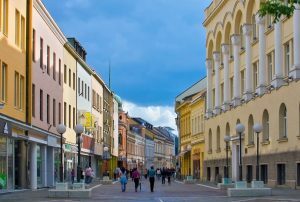 Banja Luka may be less historic than other entries on this list, but it is nonetheless a beautiful place to visit. It has benefited greatly from investment and rebuilding since the civil war, and is a modern and stylish city. It is Bosnia’s second largest city, and is the capital of the ethnically Serb part of the country. Consequently, it has plenty of Orthodox churches with exquisite roofs and gold details inside. It has a considerably European feel to it, more so than other towns in Bosnia, even more so than Sarajevo. It has several museums, and is also home of a National Theater. 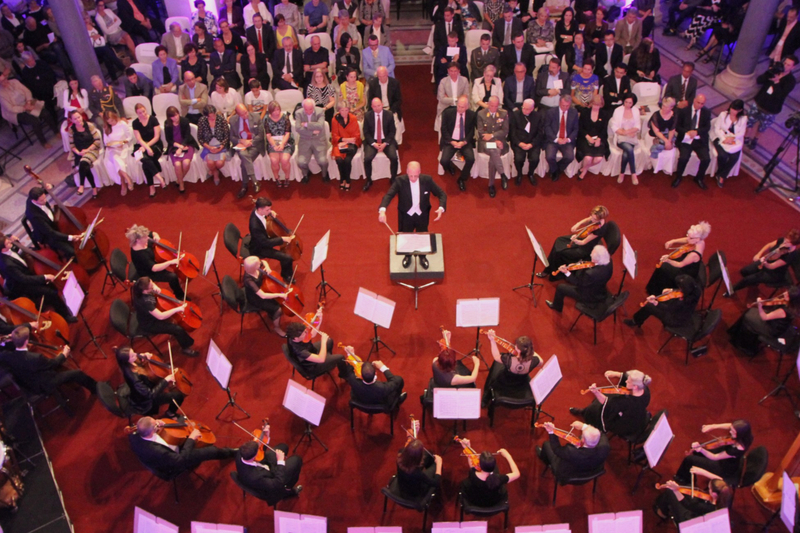 Banja Luka is a great example of Bosnia’s future potential as a modern and cultural European hub. Jajce is well-known for its unusual and unique feature of a waterfall right in the heart of the town center. The town was first built in the 14th century and served as the capital of the independent Kingdom of Bosnia during its time. During the WWII, Jajce gained importance, when on 29 November 1943 it hosted the second convention of the Anti-Fascist Council of National Liberation of Yugoslavia (AVNOJ). During the civil war, much of the town was destroyed, but recently UNESCO has been investing in renovating the historical parts of the city, notably around the waterfall, which makes Jajce an increasingly attractive place to visit. 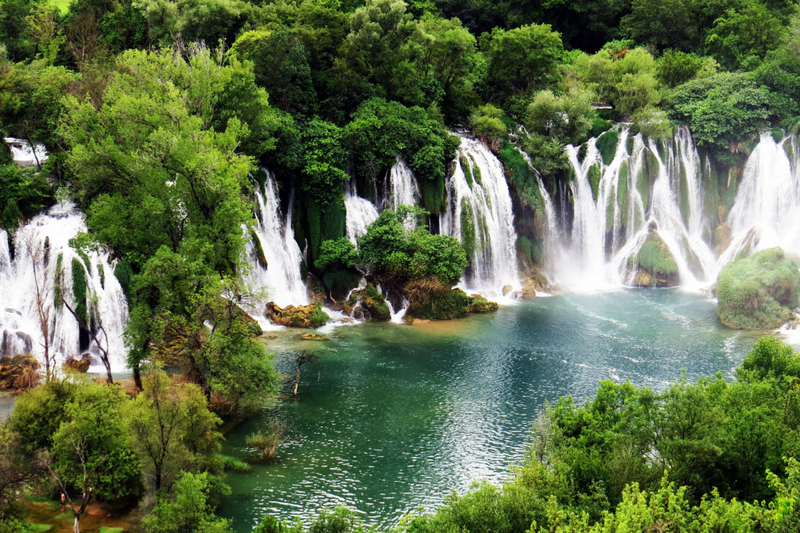 Near Jajce are lakes, which are popular for swimming, as well as some stunning surrounding scenery, perfect for walks. One of Bosnia’s well-known towns, the home of the world-famous UNESCO site the Stari Most bridge, is Mostar. 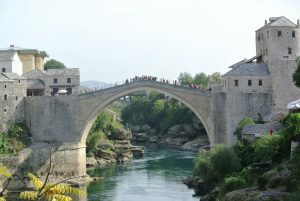 The city is located in the south-west of the country, close to the Croatian border, and takes its name from the bridge-keepers, or ‘mostari’, who used to watch over the Stari Most (The Old Bridge). The town straddles the Neretva River and is nestled in a lush green valley, with the town’s terracotta roofs dotted around the valley walls. 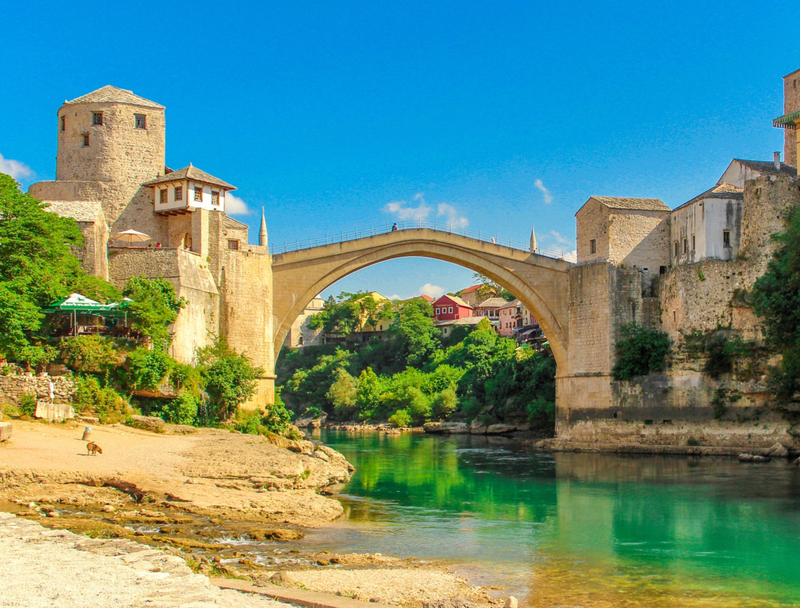 The bridge was built by the Ottomans in the 16th century and is exemplary of typical Islamic architecture.Thousands visit Mostar each year just to see it, and a common site is bungee-jumpers launching themselves from the top. 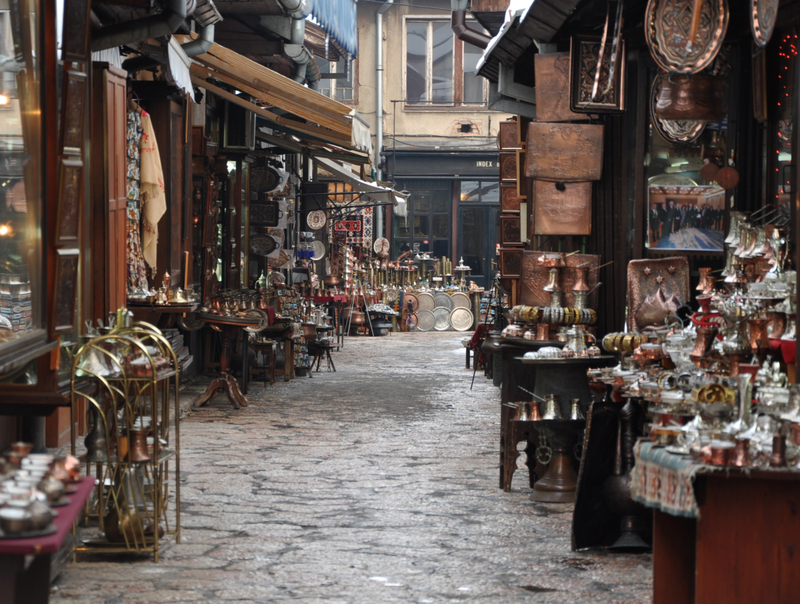 It has a quaint Old Town quarter to explore, along with many old churches and mosques. Neum is a resort town in Bosnia and Herzegovina, located on the shore, only 20 km long,on the Bosnian Adriatic coastline. Neum is only 60 kilometers (37 mi) away from Dubrovnik (80 km or 50 mi from the Dubrovnik Airport), 70 km (43 mi) from Mostar and Međugorje and 30 km (19 mi) from Ploče and Metković. So if you decide to cross in and out of Croatia, the border formalities are relaxed at peak times. Around 92% of the population in Neum is ethnically Croatian. Tourism in Neum is active only in the coastal region. 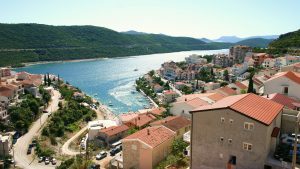 The inland area behind Neum has a rich archaeological history and untouched wilderness and agricultural tourism is starting to develop there. 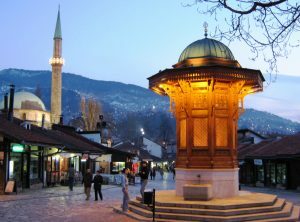 Sarajevo is Bosnia’s capital and also its largest city. It is surrounded by mountains on all sides (which when climbed give outstanding views of the city), and has been a tactical stronghold since before the Ottoman conquest of the 1400 s. It is rich with culture, from its medieval Old Town quarter to its modern and up-and-coming financial district, and is likely to become even more of an attractive destination, as the post-civil war restoration continues. It is also the religious center of the country, with plenty of mosques and churches to visit, that exemplify the city’s architectural mix of Ottoman and Austrio-Hungarian design. 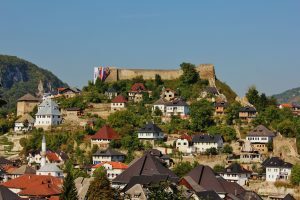 It is one of the best places to discover Bosnia’s history; given that it was here that Archduke Franz Ferdinand was assassinated, sparking the WWI. The city, like many others in the Ex-Yugoslav territories, is still full of reminders of the former federation. Bosnia’s third largest city is Tuzla. Located in northeastern Bosnia and Herzegovina, Tuzla has long been associated with local deposits of rock salt. 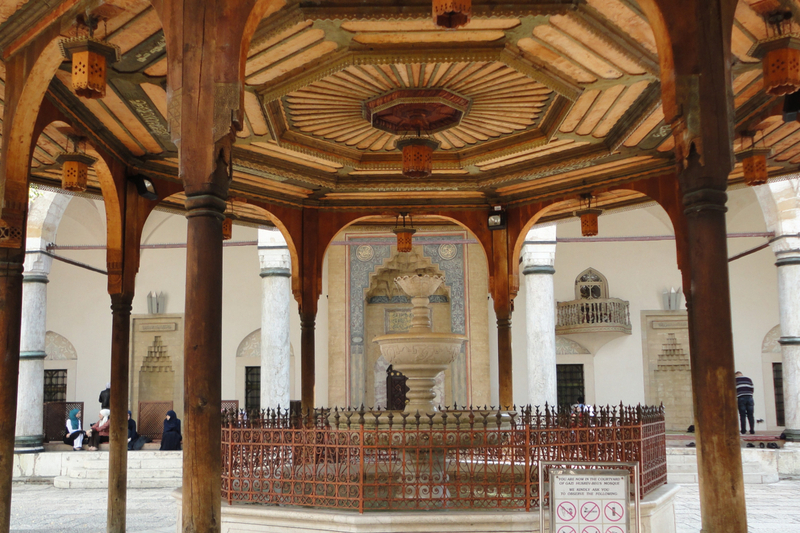 In the 10th century it was even called Soli (Salts), and its present name is from the Turkish word tuz, which means salt. It is one of Bosnia’s most multicultural cities, and has a less divisive population of Bosniaks, Serbs and Croats than most other towns, plus a small Jewish community. 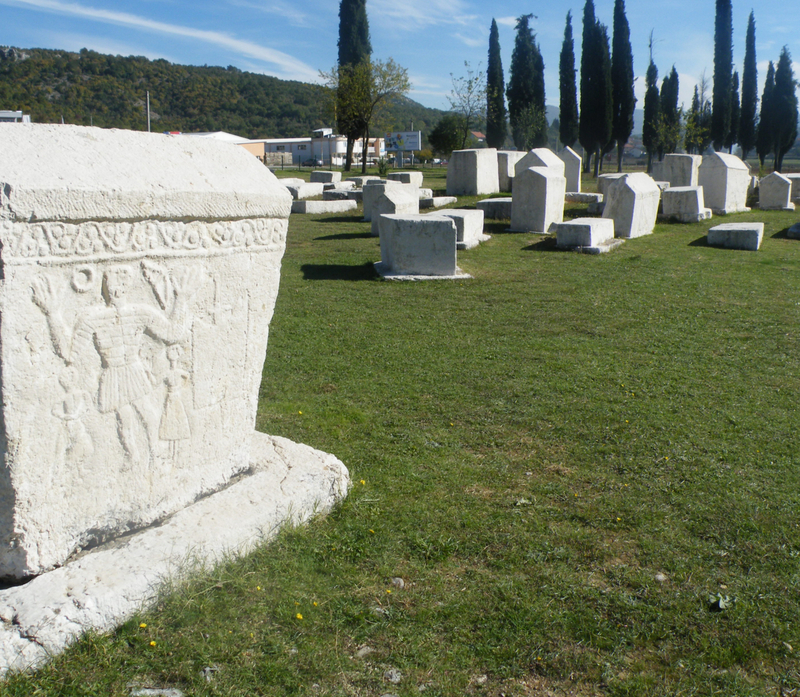 Tuzla is considered to be one of the oldest settlements in the whole Europe, with evidence of a neolithic settlement dating back 6,000 years ago. It has been an important industrial center throughout its history, and as such has plenty of different architectural styles, especially Ottoman and Austrio-Hungarian. 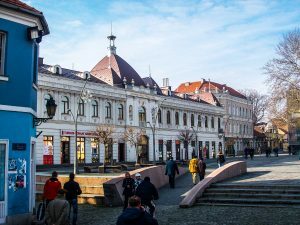 Its mix of ethnicity gives the city a range of Catholic churches, Orthodox churches, and mosques, as well as a Jewish cemetery, worthwhile to visit.